It’s been two-and-a-half years since a young woman from Council Bluffs was killed in a car accident in Omaha, a crash caused by a man who was in the country illegally. Twenty-one-year-old Sarah Root had been an organ donor since first getting her driver’s license at age 16. Now her mother, Michelle Root, says she’s in contact with the family of the person who received Sarah’s heart. “The heart recipient’s wife had emailed me and stated that her husband’s birthday is coming up and they would love for us to meet,” Root says. The face-to-face meeting is to take place on Sunday, though the location is being kept secret. “I get to hear my baby’s heartbeat again and that’s going to be very emotional but very rewarding in its own way as well,” Root says. Few details about the heart recipient are being released to maintain his privacy, but Root says all that really matters is he needed a heart and he got one. “He’s full of energy and life now and he can keep up with his grandchildren,” Root says. “They just seem like a wonderful family.” Root says her daughter’s organs have saved several lives and knowing that Sarah helped so many helps to ease the pain of her death. 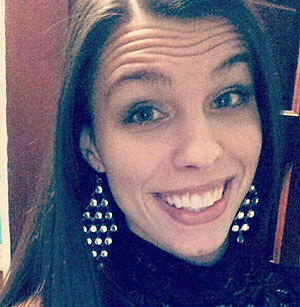 Sarah Root who was killed on January 31st of 2016, a matter of hours after she graduated with honors from Bellevue University. Omaha police say her SUV was hit by a drag-racing drunk driver who was in the country illegally. Nineteen-year-old Eswin Mejia, a native of the Honduras, was released on bail and disappeared. It’s presumed he left the country.